Hire The Experts In Gutter Cleaning Today! It isn’t something that many people will want to worry about, or have the time for, but have you had your gutters cleaned recently? You may not notice even think about your gutters when they are working well, but when they don’t, you will definitely know there is a problem. You will get an overflow of water when it rains, causing water to flow down the side of your house. You may get blocked drains due to the collection of debris and dirt, and that can cause flooding. 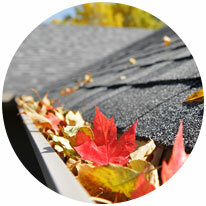 All kinds of things can block your gutters such as leaves, twigs, insect infestation or rubbish blown by the wind. What you need is to get your gutters cleaned before they block up and cause damage. You need gutter cleaning experts like Eva Cleaners to visit your property and clean your gutters and downpipes so that they stay clean and effective. Give us a call on 020 3409 1608 now and arrange a visit by one of our friendly team. What makes us the best in London? There are a few reasons why we think we are the best gutter cleaners in London. With us, you will be getting a professional cleaning service that is based on an honest evaluation of your guttering’s condition. We will give you the help and advice you need to make an informed decision on the work to be completed. All cleaning is carried out to the highest standard to ensure reliability and confidence. We are also flexible enough to work around your busy schedule and will always stay until the job is done. Our pricing structure is very competitive and reflects our expertise and experience. We are confident that you won’t find a better price in your area, but don’t take our word for it, see for yourself. We can offer a range of services as part of our cleaning company. That’s why we have created many options that will cover every combination of cleaning jobs you may need. We can clean your guttering on a regular basis and work around your schedule. This ensures that your roof and gutters are always in the best condition, and able to withstand even the harshest of winters. If you do find that your gutters are in need of a good clean, we can complete the work quickly and to a high standard. We don’t just do private properties either, we can also cater for all commercial gutter cleaning. We have the specialised cleaning tools and equipment to deal with any job, no matter the size of property. The environment is something we are very keen to focus on, and so we employ eco-friendly cleaning methods to ensure that we are playing our part. Our gutter cleaners never use any detergents as part of our cleaning process, so no chemicals are going into the drains or onto your garden. All of our gutter cleaning teams are made up of fully trained and professional personnel. They are very experienced in all aspects of gutter cleaning and are able to offer advice and assistance. They have the latest tools and equipment to allow them to carry out any job quickly and efficiently. They can work on any property regardless of size or location, and reach even the most awkward of areas. Don’t let unexperienced people deal with this type of work for you, as bad cleaning will only need further work in the future. It could even cause further damage which would cost more to repair. You can speak to one of our friendly team about our services and to arrange a visit, just give us a call on 020 3409 1608 and let us assist you. Blocked gutters can cause a lot of damage to your home. Water spilling over from a blocked gutter can cause damage to brickwork and woodwork which can be expensive to repair. Blocked downpipes can cause flooding and other damage. You can also get problems associated with insect infestations either as a cause or result of damage. To avoid such problems, you need to ensure that your guttering is kept clean, and any issues resolved as soon as possible. We can arrange a regular cleaning routine to prevent the build-up of debris and subsequent problems that can occur. You can save yourself a lot of time and money by regular cleaning and maintenance, so give us a call on 020 3409 1608 now to get a free no obligation quote and more information on our services. We believe that having your gutter cleaned to a high standard doesn’t have to be expensive. That is why we have worked hard to make our prices as competitive as possible. This is because we want you to get the best value for money you can with us, and have confidence in our service. But, it isn’t just about value for money, it’s also about the quality of service that you receive. Using a professional cleaning company that has a good reputation is important when carrying out any work. Our gutter cleaning is completed by experts to the highest standard, which means you won’t waste money having to get the work done again. It is a simple solution, but one that can mean a lot to our customers, and so means a lot to us as well. Although there may be many companies that can offer similar cleaning services, we think that we are the best in London at what we do. This is because we have been trying for a long while to create services that are really tailored to our customer’s needs. We have created a simple price structure to make it very easy to understand and transparent. We don’t have hidden fees or extras, so you will always know exactly what you will be paying. We also understand that you lead a busy life, so we are flexible enough to work around your commitments. 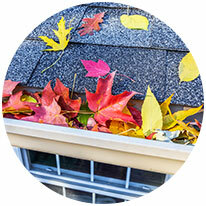 We will carry out your gutter clean at a time that suits your schedule. In all, we have exactly what you need to do the best job for you, so why not hire Eva Cleaners and save yourself time and money.